Not only do hundreds of people from all ends of the globe make their way to south west Donegal each year, but Oideas Gael and our teachers regularly get to visit our overseas friends. 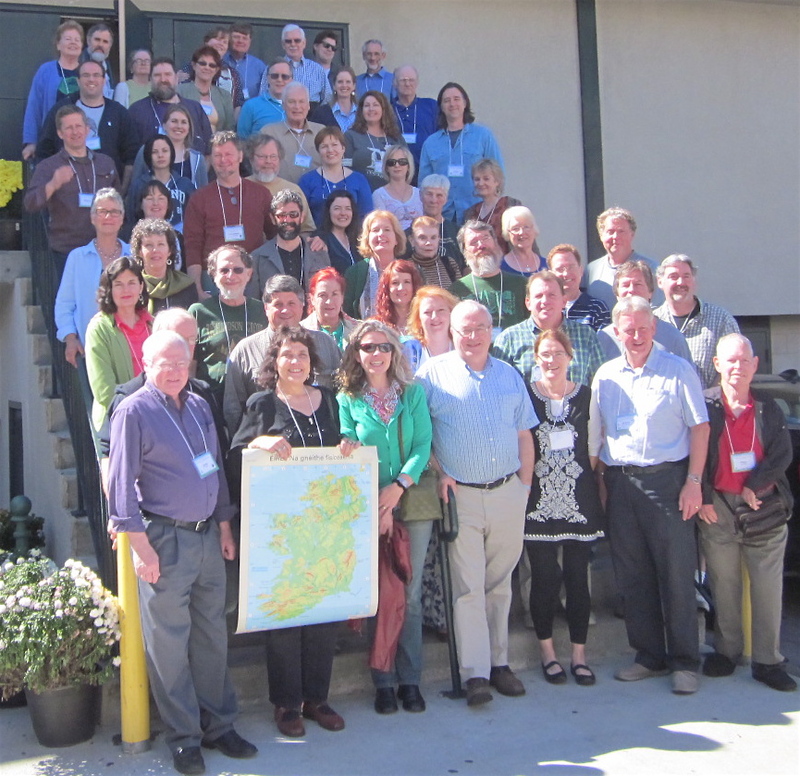 Liam Ó Cuinneagáin, Ray Mac Mánais, Seosaimhín Nic Rabhartaigh, agus Barbara Ní Chiardha took on teaching duties at the fifteenth Gaeltacht Immersion Weekend in the San Francisco Bay Area, California. Our good friend Nikki Ragsdale has been organising this event since its first beginnings. Liam agus ‘Uncle Ray’ then continued to an Irish class in Hollywood, Los Angeles. Liam also visited the annual Irish Language Weekend in Madison, Wisconsin. This event is organised each year by Dineen Grow, another friend of Oideas Gael. It’s always a great occasion that brings the Mid-West Gaels together. Next stop is Glasgow, Scotland, where Oideas Gael teachers will provide an intensive Irish language weekend from 29-30 November on behalf of Conradh na Gaeilge, Glaschú. More information is available here.